Sciter Notes – Page 5 – Take your notes… back home. You deserve to own your own notes! 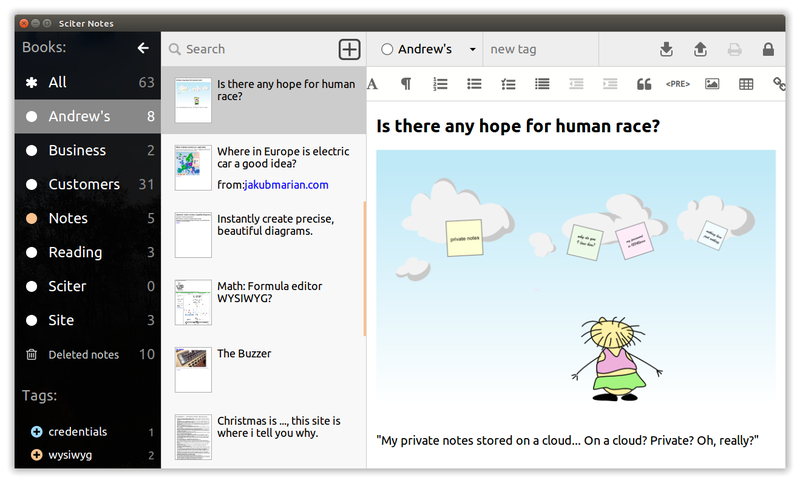 Sciter Notes stores your notes on your own hard drive or memory stick. On any your computer you will see the same Notes application. 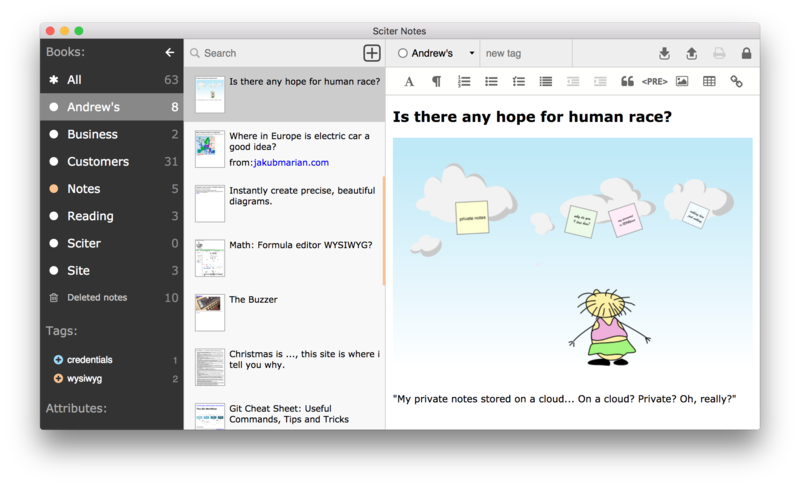 Sciter Notes is a live product. It evolves with its users, their needs and wishes.